Here’s a quick hit to end your Friday and kick off your weekend and it’s something that I have said on the blog here more than once already this offseason. The New York Yankees need to find a way to pry away left-handed starting pitcher James Paxton and they need to find a way to do it sooner rather than later because I truly think he is in line not only for a strong bounce-back type season but he may be in line for a season that could turn his career around for the foreseeable future as well. Don’t worry all, I’ll explain. Why would the Yankees want Paxton? In parts of four Major League seasons the southpaw has lacked consistency on a team starved for starting pitching and every one of those seasons he has spent time in Triple-A Tacoma. His control was average at best and his velocity, low 90’s, did him no favors in hiding the fact that he simply struggled at the Major League level despite the hype of being a top prospect along with former teammate Taijuan Walker. These and many other reasons are exactly why the Yankees would want to acquire Paxton now and not later, buy low and sell high. Paxton began the 2016 season down in the minor leagues where he worked with pitching coach Lance Painter who tweaked his delivery with astounding results. 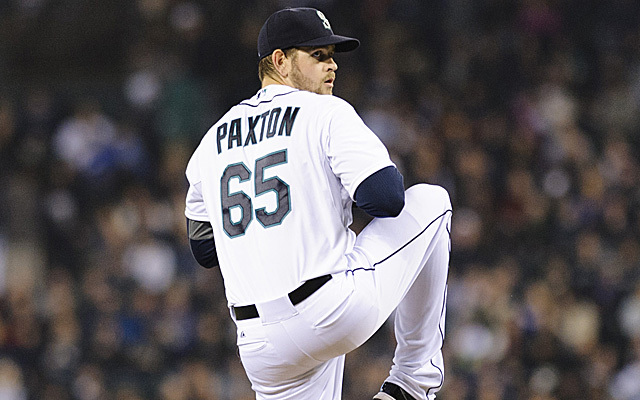 While Paxton did not suddenly dominating MLB hitters right away he did finish the 2016 season at the MLB level with an impressive 3.79 ERA and 2.80 FIP. The 2.80 FIP would have been the best in the American League had he had enough innings to qualify for the award besting Corey Kluber’s 3.26 FIP in 2016. That’s encouraging and shows a bit of bad luck in the overall stat line. What is not unlucky by any stretch of the imagination is his sudden increase in velocity due to the delivery change as Paxton finished last season with a 96.7 MPH average fastball which would have made him the third hardest thrower in the majors trailing just Noah Syndergaard and Nathan Eovaldi. You have to remember the Yankees, at least for this season, are looking for a pitcher to pitch at the back end of their starting rotation and Paxton would easily fill that need for New York. If he can pitch like he has this spring though, thus far he has 11 L’s in nine spring innings with a 0.89 WHIP, with that 97 MPH fastball the Yankees may have the best #3 or #4 starter in all of Major League Baseball… and all for a low risk and high reward type trade. Get it done Cashman and get it done now before the Mariners realize what they have in him. Hi Daniel, we all know Cashman keeps his deals close. This sounds like a deal he would be interested in. Have you heard anything at all other than what you imparted here today? Might be someone the Yankees could use, so you think! I'll take your word for it as I haven't seen him pitch.